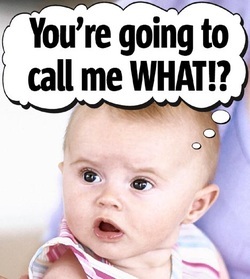 You don’t need to read every magazine or newspaper to know that weird baby names are nothing new in Hollywood. From the likes of Rainbow Breeze, Blue Ivy and even Vaseline, celebrity kids have been given some very memorable names. But nothing can beat the newest addition to the Hollywood baby club. Kim Kardashian and Kanye West (also known as ‘Kimye’) have recently brought a baby daughter into the life of fame. The name of the baby you ask? North West. (I know, we all gasped in shock too). Rumour has it the baby was originally going to be called ‘Kaidence Dondra West’ which is somewhat much more “normal” (and of course it starts with a ‘K’ which we know is important to the Kardashian family). So what possessed this celebrity couple to give their child such an outrageous name? According to an insider, the pun name is more ‘inspirational’ than ‘directional’ (literally). The name is supposedly a representation of ‘new heights’ and the highest point of their relationship to date. More weird and wonderful baby names include Gwyneth Paltrow’s daughter ‘Apple’ which is said to represent “sweetness” to her. Also, ‘Coco’, the daughter of Courtney Cox and David Arquette. Her name wasplanned to be the same as her mother’s, although they changed it to ‘Coco’ as that was Courtney’s nickname as a child. I’m still not 100% sure as to why celebs feel the need to torture their children with horrendous names but each to their own. Kimye’s baby may have the strangest name to date now, but soon more famous bundles of joy will be born and we will end up with twins named ‘Flip’ and ‘Flop’. I can’t wait.